She twirled for us, and the skirt of her dress floated up into a spinning circle of tiny chiffon pleats, crisp and flowy all at once, red like roses. A long scarf-y chiffon was attached at the shoulder with a sparkly pin; it made a shifting shape in the air as she spun. It was Friday, and she had been to the beauty parlor. Her hair was freshly captured into a style called a French Twist. Hairspray and perfume lightly scented the air. Our mom was beautiful*, and our dad was our dad — what could be better? “Where are you going?” we asked. Being a grownup was looking pretty promising. But so was tonight. Pam was coming to babysit. There would be popcorn. 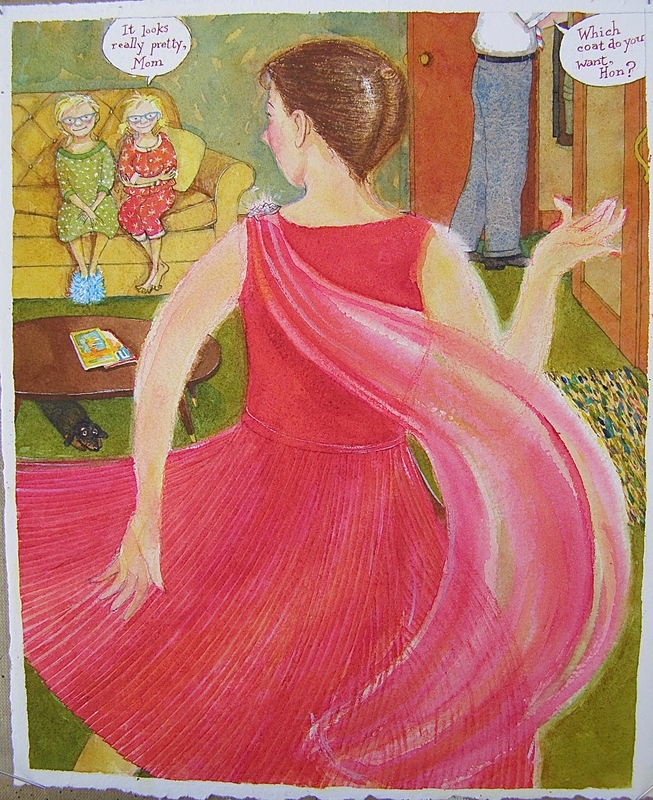 When I started this post, I thought I would just paint a picture of my mom’s dress. 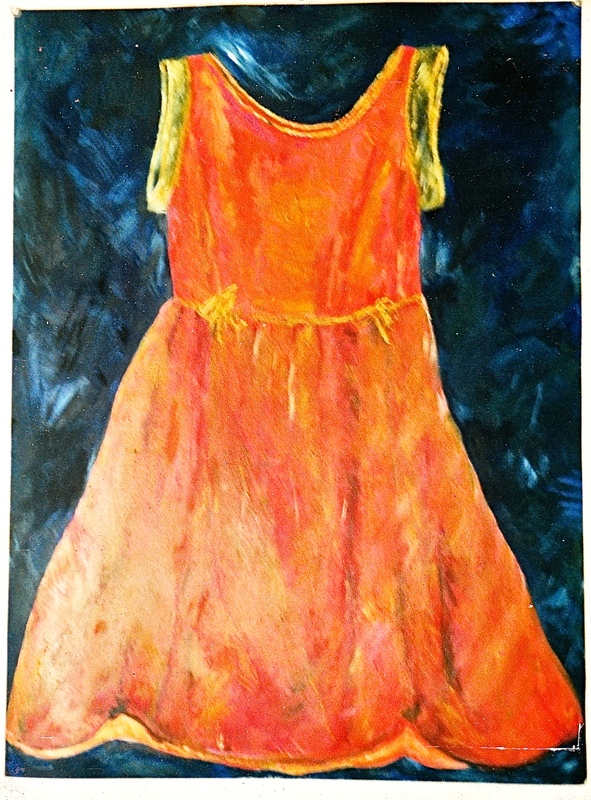 My friend Sooz did a series of paintings a few years ago of dresses that had significance in her life, and they seemed to have presence and personality even though no one was in them. This one is of her daughter Eva’s dress-up dress. Personally though, I was unable to resist putting my mom in the dress. Mainly because I wanted to paint her hairdo. And then I was unable to avoid putting people everywhere — my sister and I, our dad, our dog. 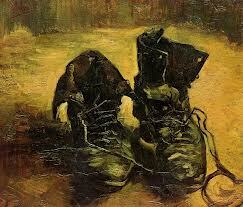 “Horror vacui?” A fear of empty spaces? Maybe I just like making a picture into a story.